In today’s ever growing realm of technological advancements, Delay has maintained its crown as one of the most effective and versatile audio effects there is. Delay, at its simplest, is a delayed or repeated audio signal that is fed back into itself. The sound is recorded, stored and then is played back after a certain length of time, which is determined by the setting on the Delay unit. 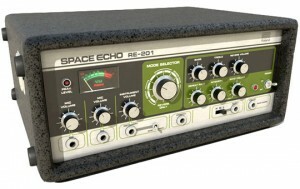 Delay units possess many parameters that can help alter and manipulate the sound. Delay is commonly used on multiple elements including, but not limited to, Vocals, Guitars, and even Drums! Delay is also widely used in Live Sound, again mainly with Guitars (either pedals or rack effects) and Vocals (usually applied by the F.O.H engineer). This article is going to provide a brief history of Delay, its uses in popular music, and some of the do’s and don’ts! Hopefully it will help you to develop your knowledge of one of the most popular effects we have as Producers, Engineers and Musicians. Magnetic tape recording, which was developed in the late 1920’s, was the beginning of Delay as we know it today. Before this, the only Delay use we had ever experienced was the use of telephone wires. A radio station would send a signal down these wires until it completed its journey, and then returned. The time it took to return back would be known as the Delay time. As many of us now know, Tape Delay is one of the most popular types of Delay because of its particular characteristics and classic sound. 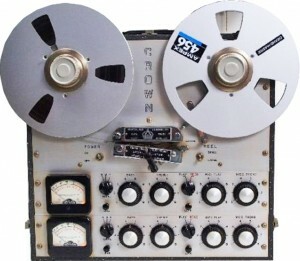 Once magnetic tape recorders became more readily available, the Delay effect could be achieved by recording a signal onto a strip of magnetic tape through the recording head. This sound would then be played back through the playback head. The distance between the recording head and the playback head would determine the amount of delay that was heard. As time progressed and we reached the mid-1950’s , Delay again grew in popularity through the Slapback Delay effect. Slapback is a delayed signal that is played directly after the initial dry signal. The sound became hugely popular with the Surfer style of music that became synonymous with the “Rockabilly” genre. A notable example is Elvis Presley’s first single, “That’s All Right (Mama)” which became famous for the Slapback sound. Brian Setzer is another example of a guitarist who is famous for utilising Slapback Delay in his recordings. So how does Slapback Delay work? It does pretty much exactly what it says on the tin. When the original sound is played, the repeat (or delay) slaps back directly following it. The Delay Time is usually between 150-200 milliseconds and often contains only one repeat of the sound, which gives it the name Slapback! During the late 1950’s, and in to the early 60’s, there were a number of companies producing Delay units based on the magnetic strip. One of the most highly regarded Delay units of our time is the Watkins “Copicat”, created by Charlie Watkins in the United Kingdom. As both the development and popularity of these machines grew, they began to add more playback heads and tape speed controls to the machines, thus resulting in more Delay options, including the ability to change Delay settings on the fly. As time progressed, many different companies decided to jump on the bandwagon and cashed in! The Delay effect has always been a personal favourite of the author, whether it’s using it on a simple Acoustic Guitar part, a searing Vocal line or a full Drum Kit mix, Delay can really help bring a track to life (especially when used subtly in the mix). As is the case with other effects such as Chorus, Flanger, Phaser and Reverb, when Delay is used aggressively then it can become overwhelming within a mix. A particular element of the Delay to be wary of is the Feedback control. When used appropriately it can create some really great and unique sounds, but pushing the Feedback control too far will result in (you guessed it) Feedback! Speaking from experience, nobody wants a loud squeal of Feedback in the mix! Delay can also be quite effective on Drum Room mics, as a subtle amount can really help bring the sound of the room to life. Another widely used type of delay is Reverse Delay. Experimenting with Reverse Delay can yield some strange yet very rewarding and unique sounds! Delay is an extremely powerful effect as it potentially has the ability to turn a simple and mundane melody or riff, into a much more full and powerful sound! The majority of Delay units have quite similar parameters. You will find the following parameters on most (if not all) Delay units, both hardware and software! Mix: This blends the Dry (original) and Wet (delayed) signals together, usually signified by a % value. Feedback: Feedback is the amount of the audio signal being routed back into itself. Be careful with this as once you start to go beyond 40-50%, Feedback can begin to get out of control. Watch your ears!! Delay Time / Rate: This relates to the time between the original signal and the delayed signal, shown as a value in milliseconds. If synced to a DAW, you can set this to note values such as 1/4, 1/8, 1/16 etc., based on the BPM of your track. Hi + Low Cut Filters: Hi Cut and Low Cut Filters work exactly as they always do, however they only cut the Low or the Hi frequencies on the delayed signal. These filters can very useful in sculpting the sound. – Modulation Rate/Depth – We can set how much modulation will affect the signal. – Saturation/Drive – Adding some saturation or drive to the delay will add some bite and grit. – Tone – This will shape the sound of the delay tonally. One of the best ways to get to grips with an effect or device is through trial and error. Understanding how the parameters work, and how they can manipulate and affect the sound is all well and good, but actually getting in and experimenting with the effect is the best way to get what you are looking for. Every Delay effect, whether it’s a guitar pedal, a plugin or a rack effect, will all give you roughly the same result. However it’s the characteristics and personal preference of each one, and how you utilise them that is the secret to getting what you’re looking for.